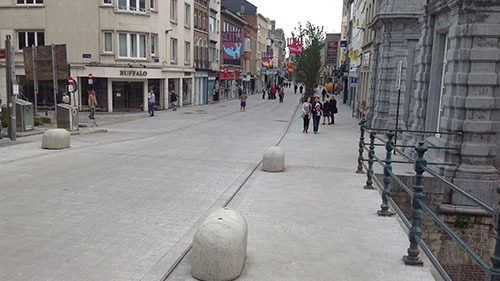 The Bruul, also known as Abbey Street, is a popular street in Mechelen, Belgium known for its shopping. It’s the main street in Mechelen that connects the Dijle river to the Grote Markt (Grand Place). The street was recently renovated and has sustained a lot of rust and stains as well as discarded chewing gum. Miranda and her team was tasked to clean the street and seal it before the reopening. To view the details of the cleaning and sealing of The Bruul click here. To dowlnload the case study PDF click here. 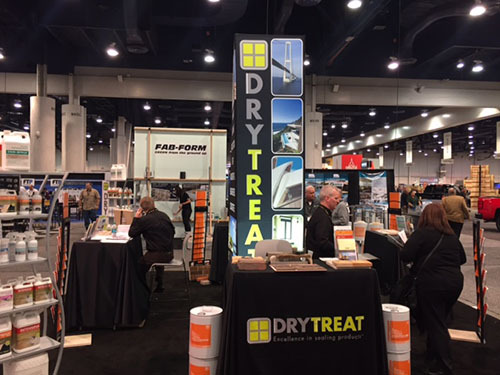 In January, Dry-Treat attended the Design and Construction Week in Las Vegas by having a booth in both World of Concrete 2017 and The International Surface Event 2017! We introduced our new masonry and engineered concrete line at the World of Concrete. Stay tuned for more information and updates. Thank you to all who stopped by! The Trevi Fountain in Rome was found to be 'crumbling' after an unusually cold spell in 2012. After fragments of the historical landmark broke off, emergency repairs were carried out, only to reveal more problems. 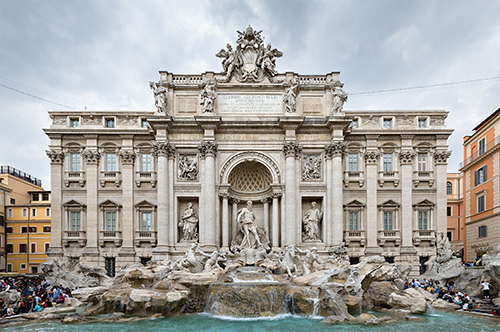 Structures such as the Trevi fountain require premium protection such as that provided by DRY-TREAT 40SK. Trevi Fountain is made mostly out of Travertine and because of the exposure to snow, rain, and freeze-thaw conditions, the stone will wear very quickly. DRY-TREAT 40SK not only prevents water from entering the pores and preventing damage from water ingress, but also strengthens softer, more porous materials by 30%-40%. This means the stone would be much more durable and maintain its appearance for a longer period of time.